If you have been considering getting a tankless water heater, congratulations! A tankless water heater is a great way to get efficient hot water that doesn’t require you to heat up the water in an entire tank. They also save you from the possibility that you could run out of hot water when all the relatives descend upon your place for your cousin’s wedding. More and more people are turning to tankless water heaters because they just make sense, but not everyone is familiar with all the pieces that go into them. One of those essential pieces is your filtration system. That’s why, in today’s blog from our commercial and residential plumbers in Dallas, we’ll go over the basics of your water heater filtration system. What Is a Water Heater Filtration System? A water heater filtration system is a component of your tankless water heater that removes sediment, minerals, and other impurities from your water before it reaches the water heater. The system looks kind of like a water bottle with a membrane or filter cartridge inside it. The water enters from one side, passes through the filter material, and exits from the other side all nice and clean and pure. 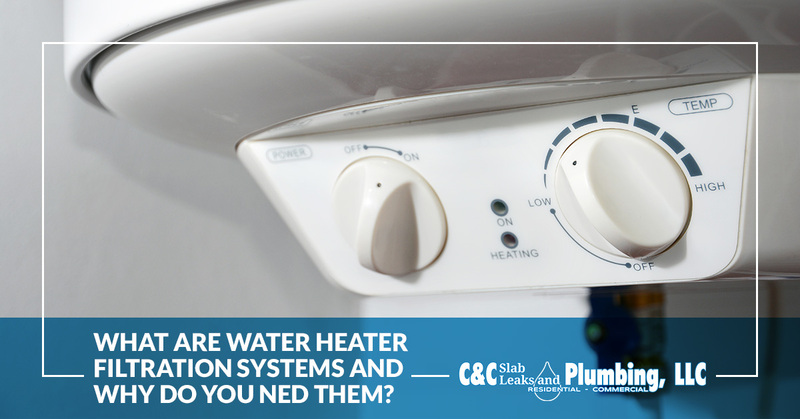 Why Do I Need a Water Heater Filtration System? Your tankless water heater needs a water filter because it’s snobby and won’t drink anything but pure, clear water. Just kidding. The water filter is an essential component of your tankless water heater setup because your tap water almost certainly has tiny debris and impurities in it (minerals, scale, limestone, or sediment). If these impurities are allowed to come into contact with your tankless water heater, they’ll build up on the heating element, causing it to be damaged and shortening its life. Installing a water filter is a cost-effective way to prolong the life of your tankless water heater and ensure that it can continue to provide your home with hot water for years to come. Your old (tank-based) water heater didn’t need this kind of filter because the tank achieved the effect of filtering the water for you. Sediment and mineral deposits tend to sink to the bottom of the tank, where they will continue to accumulate, relatively undisturbed, without interfering with the functionality of your water heater. If you’ve ever opened up the tank of a traditional water heater that has been in use for any number of years, you’ll discover that the bottom few inches of the tank are filled with a sandy, sludgy material. Gross! Can you imagine what all that material would do if it simply built up inside your tankless water heater? There simply wouldn’t be room to put it. Incidentally, have you ever heard the advice that you shouldn’t ever use hot tap water for cooking? It’s precisely this residue inside the tank of the hot water heater that people are trying to protect you from when they warn you to only ever use the cold water tap when filling your tea kettle or boiling water for pasta. All that residue is going to increase the levels of undesirable sand, minerals, and other matter that makes it into your hot water (and if you consume it, it’ll be inside your body. Not what you want. Happily, when you get a hot water heater filtration system for your tankless water heater, you’ll no longer have to avoid using hot tap water for cooking. Go ahead and save yourself a couple of extra minutes that you would have spent waiting for the water to boil. 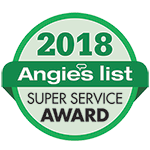 If you need installation, maintenance, or troubleshooting for your water heater filtration system, please give our plumbing company a call. 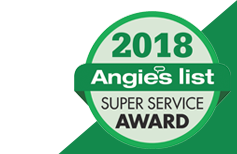 We serve the Dallas / Fort Worth area with expert plumbing, slab leak, and hot water heater services, and we are here to help you, too! Contact us today to get started.